An early morning crash in Delaware between a Tesla Model S and an 18-wheeler left the latter in the front yard of a house, according to local station WPVI-TV. State police officials have since concluded the driver—and more importantly, systems—of the Model S were not at fault. 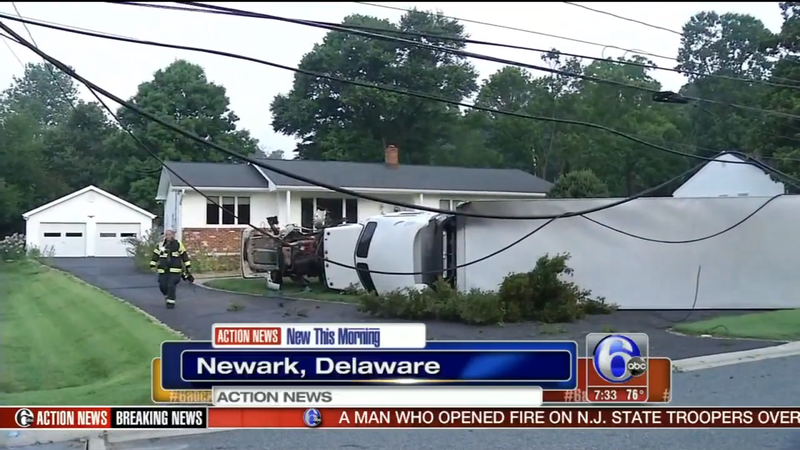 The wreck happened around 5 a.m. in Newark, Delaware and turned the 18-wheeler onto its side, according to WPVI-TV. Both the driver of the truck and the Model S went to a local hospital following the wreck. The incident is still under investigation, and Master Corporal Gary Fournier told Jalopnik that investigators believe the driver of the 18-wheeler fell asleep before colliding with the Model S. Fournier added that the truck driver ran a red light, and the wreck was at no fault of the Tesla or its driver. The Model S was in the intersection at the time of the wreck, and Fournier said there is no current indication that the car’s Autopilot feature was enabled, as has reportedly been the case in several high-profile crashes this summer. Diesel tanks on the truck reportedly ruptured and the vehicle struck utility poles before reaching the yard, leaving those nearby without power. Medics treated the Model S driver, 76, for chest pains on the scene of the wreck before he went to the hospital. At the time of the report, the Model S driver was in serious but stable condition, and the truck driver, 51, was in stable condition. Fournier said the truck driver has since been released from the hospital and the Model S driver remains for injuries that “appear to be non-life threatening.” The 18-wheeler was still on the scene when Jalopnik spoke with Fournier at around 11:20 a.m. ET on Saturday.